Have you ever wondered what type of leader you are? Years of leadership research tells us that not all leaders use the same strategies to influence their followers. Your personality helps to shape your preferred approach to leadership. For example some leaders are more comfortable with building relationships with their subordinates while others are task driven. Training and experience can also influence your leadership style. However, when we are under stress or when it isn’t clear how we should lead our subordinates we tend to gravitate to our natural style based on our personality. Below we describe five major approaches to leadership. Which one fits you best? Transactional leaders are those who rely primarily on rewards and punishments to influence their subordinates. They tend to be task oriented and focus on goal achievement. For example, a transactional leader is likely to identify goals for followers to achieve and then reward or punish them depending on whether they met the goal. Transactional leaders can be very effective in some work environments but are often viewed as less effective than Transformational leaders who rely more on galvanizing followers to a powerful vision of the organization. An example of a famous transactional leader is Apple’s Steve Jobs, who is well known for his reward/punishment style and task focused leadership. Passive Leadership style is associated with leaders who tend to allow events to unfold with minimum guidance or input until something goes wrong. Then they tend to become more involved in identifying who created the problem and correcting them. This style of leadership is considered to be the least effective and most likely to generate negative feelings in subordinates. The most difficult leadership style to predict is Charismatic Leadership. Charismatic people are individuals who have a tendency to draw others to them. People want to be associated with them and will follow them just to be associated with them. Whether in the entertainment field (e.g. Oprah Winfrey, Johnny Depp), politics (e.g., Winston Churchill, Barack Obama) or business, charismatic people are considered to be ‘natural’ leaders. Charismatic leadership potential measures the aptitude of an individual for succeeding in a charismatic leadership role. Research shows there are some personality variables that can help predict who is likely to be seen as charismatic. Of all the leadership styles, however, this is the hardest to predict. Famous Charismatic leaders include: Richard Branson, CEO of Virgin Records, and Lee Iaccoca of Chrysler, and Jack Welch of GE. Leader Consideration reflects the extent to which the leader is likely to engage in building relationships with subordinates as an integral part of their approach to management. Leaders scoring high in this measure are likely to spend time to get to know their employees well and place a high emphasis on keeping employees happy through positive relationships. Low scorers on Leader Consideration tend to avoid building close bonds with their subordinates and prefer to maintain a professional distance. Initiating Structure is the tendency of a leader to focus on tasks and goals. Leaders high on initiating structure tend to provide a lot of input on task completion for their subordinates. They tend to prefer to set goals for their subordinates and follow up on those goals consistently. 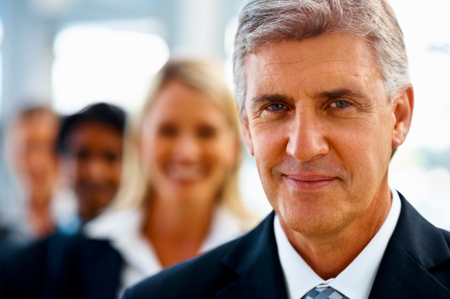 Our CounterpartMatch.com system assesses your natural leadership style based on your personality. For more information contact us at sales@counterpartmatch.com. This entry was posted in Leadership, Personality Testing, Personnel selection and tagged charismatic leadership, Initiating structure, leader consideration, Leadership, leadership style, passive leadership, transactional leadership on July 25, 2013 by dchapman.